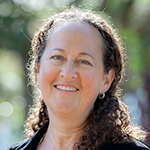 Karen Drexler has spent the last 20+ years co-founding and building medical device companies, mainly in the diagnostics space. Karen was President and CEO of Amira Medical, a glucose monitoring company that was sold to Roche in 2001. She is passionate about women’s health and is an active mentor and angel investor through Astia (astia.org). Karen is currently an active chairwoman with Hygieia, a diabetes health IT / service company, and on the boards of Diadexus (DDXS, cardiovascular risk markers), Naia Health (connected devices for growing families) and Sandstone Diagnostics (point of care / home testing). Karen also acts as a senior strategic advisor for several other early stage companies and is on the Board of the Keller Center for Innovation in Engineering Education, Princeton University. The holder of 11 issued patents, Karen received her MBA from the Graduate School of Business, Stanford University and her BSE in Chemical Engineering from Princeton University.